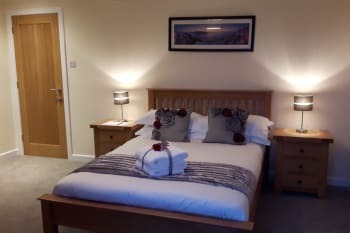 Highwinds Bed and Breakfast is in the rural settlement of Torlundy 4 miles north of Fort William with superb views towards the North Face of Ben Nevis and across farmland to the hills beyond Loch Linnhe. We recently completed a full renovation to create a high standard of luxury en-suite rooms that all take advantage of the magnificent views. Walks in this tranquil location lead directly from Highwinds with the convenience of being a short distance from the main road and dedicated cycle/walking track. These head north past Nevis Range and south to Fort William making us an ideal location to explore this wonderful area, the Outdoor Capital of the UK. There are no rooms available at Highwinds Bed and Breakfast for these dates. My husband and I were over the moon with our accomodation. The hosts were so lovely and knowledgeable. The room was beyond expectation and I have already reccomended to other family that are travelling to the area in 2019. As a bonus the breakfast was also delicious and filled us up for big days exploring the highlands. Thank you! We look forward to welcoming you to Highwinds again soon! Gracious and welcoming hosts. It was a wonderful stay. Excellent breakfast, immaculate room and thoughtful hosts! We loved staying at Highwinds and would definitely stay here again. Very friendly people, very good breakfast and good advice about trails. 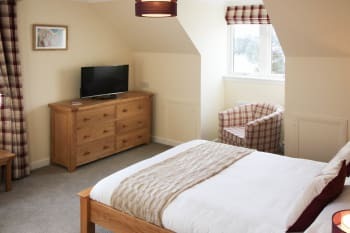 An immaculately presented place to stay in stunning surroundings. Not far from lots of activities for all ages/abilities. Plenty of choices for eating out to suit all tastes and budgets. Everything was great- the location, the breakfast, cleanliness of the room and the friendliness of the owners. The maps and guide books were very helpful. A trip on the Jacobite steam train is a must as is a hike in Glen Nevis to Steall Falls (the cable bridge is a little intimidating but worth the crossing). Bring rain gear and plan on getting wet if you come in September. If the clouds part for a brief moment as it did for us, make sure you snap off a few photos of Ben Nevis and the surrounding hills before they hidden again. This was the nicest B&B that we stayed in during our stay in Scotland. It was clean, modern, the hosts were so personable and we just really enjoyed it. The only downfall was the location at a few miles out of Fort William but, the host arranged a taxi for us and even got us a restaurant reservation. So I really cannot complain about anything. Highly recommended!If you have the funds eat at the castle interlock he, just about half a mile from their location. Super elegant delicious dinner. And they’ll even let the men borrow a jacket. If you have the funds eat at the castle Interlochy, just about half a mile from their location. Super elegant delicious dinner. And they’ll even let the men borrow a jacket. Thank you for your review. Our stunning location is clearly stated on our website. Liz and Kenny were excellent hosts. The room was bright and fresh and new, exceptionally clean and comfortable. The breakfasts were wonderful, cooked to order with great coffee! We enjoyed our stay and our great conversations with Liz! Very friendly hosts, nice spacious room with dito view. Would definitely stay there again. We rate this b&b a big fat 10. Location remote, but if you like that it’s the perfect b&b. Thank you for your review. Our location is slightly rural, this is clearly stated on our website. From the moment we arrived we were made to feel very welcome. The standard of accomodation was first rate, spacious room with a beautiful view. Breakfast was amazing, including home made preserves, smoothy, it made it a home away from home. Laurie and I thank you for sharing your home with us. From start to finish Liz and Kenny were the perfect hosts. They could not have been more helpful, be it booking us into restaurants, checking weather reports or recommending places to visit. 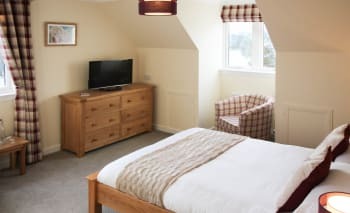 The room was immaculate and very comfortable- nothing could be faulted. As soon as we arrived we were made to feel at home and by the end of our stay we were gutted to be leaving. The breakfast each morning was delicious, the hosts offering a wide variety of culinary delights. 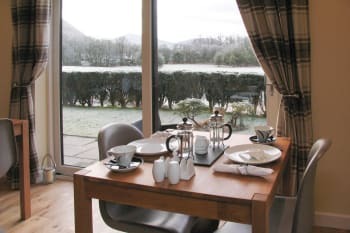 The location was flawless - 10 minutes outside Fort William, in the heart of all the prime walking routes and is positioned perfectly to offer views of Ben Nevis and the Nevis range. This is the best b&b we have ever stayed in and we will be booking to come back next year- we cannot wait! If 10 stars was an option we would be giving it! Thank you so much! See you again soon! We thoroughly enjoyed our stay. A great location, a very well presented home, and really terrific hosts. One of the friendliest and most relaxed B&Bs that we experienced in Scotland. We’d recommend this to everyone. Don’t miss it! Go and visit Glen Nevis and take a walk there! Glen Coe (on the route to Glasgow) is only 20 Min. away and has a wonderfull landscape too. If you want to see the "Harry Potter train" park your car at the old castle and walk under the railway-bridge over the river. You can't get any closer. The train leaves Fort William every morning at 10:15! Thank you for a wonderful stay! The room was beautiful and the setting picturesque. Loved chatting with you. Liz greeted us at the door and was very welcoming. She showed us to our room and we chatted gor a while, she gave us lots if information about restaurants, pubs and what was in the local area. The accomodation was 5 star, very comfortable and relaxing. We also got to take their dog "Ollie" for a walk. We also met Kenny the following morning with an amazing breakfast. Highly recommend Highwinds B & B. Thank you so much! And thank you for walking Ollie. Very welcoming and helpful hostesses. Everything was perfect. Clean room and bathroom and very good breakfast. Enjoyed our stay to the full. Place is in the countryside so you definitely need a car to travel to town for restaurants. High Winds B&B is in a perfect location and has great views (we had room 1 with a view of Ben Nevis). The breakfast was lovely and rooms are extremely clean and pleasantly decorated. Liz and Kenny were brilliant hosts, very friendly and helpful. We definitely recommend this accommodation and plan on making a return ourselves. The Ben Nevis Distillery Tour was quite interesting. If you’re into golf, Fort William golf club has a beautiful course which is quite technical in places. If you enjoy a run you can either head out of the b&b turn right and go along beat 4 or park at the brave heart car park and use the trails, both have lovely run routes. Wouldn’t recommend parking at the Ben Nevis Visitor Center to go for a run as we found this a bit too busy and were weaving in and out of hikers, great for a walk though. Thank you so much, we look forward to seeing you again! Einfach nur WOW! Das B&B wird mit viel Herz geführt, man fühlt sich gleich zu Hause. Auch die Zimmer sind wundervoll eingerichtet. Unser Zimmer hatte bzw. hat eine grosse Dusche, was wir sehr schätzen. I absolutely recommend a stay in this B&B. It was by far the best B&B we had on our 2-weeks trip in Scotland. Fabulous breakfast, comfy room which was 100% tidy and clean and a lovely hosting family. We felt welcome and enjoyed our stay to the max. Highwinds is a lovely place to stay, and is in a great out of town location. We would thoroughly recommend it. Browns restaurant in Fort William has nice food at a reasonable price. 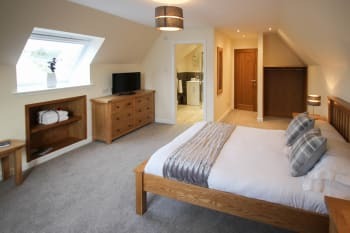 This is the best B&B you'll ever stay in, clean, private and very smartly decorated like a hotel room, with the added friendliness and helpfulness of the B&B owners being on hand. It didn't feel like the awkwardness of being in a strangers home, which I've felt in other B&b's. Liz made us a cooked vegan breakfast and made sure the biscuits and milk in our room was vegan - which we were impressed with. The view from the bedroom and bathroom is incredible. If we're ever in that area again we will stay here. We went for dinner to the Ben Nevis inn, which was booked for us by the B&B owners! It was great having dinner at the foot of Ben Nevis and we went for a wander around afterwards - take midge spray! We had come from Loch Ness and fort William (a busy high street town) earlier in the day and drove on the following day to Glasgow, via glencoe, Loch Lomond and the Trossachs. There is so much to do nearby. Although a car / taxi helps. 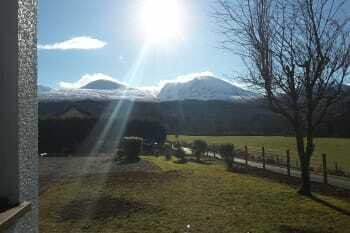 Excellent B&B in a great location with spectacular views of Ben Nevis. Liz and Kenny are perfect hosts and made our stay enjoyable and have a wealth of information on the area. Delicious continental and Scottish full breakfasts. The room is immaculate. We cannot fault this property set in rural surroundings. Thank you Liz and Kenny heaps. Go the Glenfinnan Monument and to see the Jacobite train on the viaduct....great photo opportunity. Also visit Neptunes Staircase...awesome locks. Dinner at Browns was good and recommend. Friendly hosts, Liz and Kenny, made us feel welcomed. The beauty of their BnB is that it is out of town....quiet and the views are stunning. Excellent stay, room was immaculate, great breakfast and hosts. Would recommend to others and stay again. The Ben Nevis pub at the bottom of the mountain do some great burgers for after a long walk. Liz and Kenny were perfect hosts. The breakfasts here are wonderful, ask for the home cooked porridge you won’t be disappointed. We would recommend this 5 star B&B to everyone. The location is perfect for sightseeing around the Fort William area. Glen Finnan, Loch Ness are all very close. A very warm welcome greeted us when we arrived at Highwinds. The hosts are charming, hospitable and nothing seems to be too much trouble. I forgot to tell in advance that I am coeliac and can’t have wheat or gluten, so Liz made a special trip to the supermarket to get gluten free bread for my toast at breakfast. The rooms are spotlessly clean, warm and comfortable and my room has views of Ben Nevis - although due to the weather I never did see the Peak! You could not ask for more of a B&B and I have no hesitation in recommending that you stay here. Thank you and I hope to revisit soon. Fort William is lovely and there are some good restaurants- Liz will be happy to give you recommendations ( and even phone to make reservations for you). The whole area is outstandingly beautiful and one trip you must make is to Eilean Donan Castle. Thank you! Will hopefully see you again soon! Liz and Kenny were wonderful hosts. Nothing was too much effort for them. Their help and local knowledge made our stay even more enjoyable. The Jacobite steam train is an excellent day out. The Loch Linnhe cruise gives wonderful views and with luck a sighting of seals basking on the rocks. The hosts were very welcoming and provided excellent advice for the area. The room was large, refurbished not too longer ago and was very clean. Choice at breakfast was excellent and the quality of the food was very good also. Ideal location to explore Fort William and surrounding areas. Walk up Ben Nevis, The Jacobite Steam Railway. Ate at the Nevis Bank Hotel (Brown`s Restaurant) and the Crannog Seafood Restaurant which was very good. Need to book early for the Crannog. Don`t miss the Glenfinnan Viaduct and the Glenfinnan Monument. The Jacobite Express and a wildlife boat trip at Mallaig should be a part of any visit. A great place to stay. The hosts are very friendly, enthusiastic and helpful beyond expectations. The room we stayed in was spacious, very comfortable and spotlessly clean. An excellent breakfast was included in the tariff, and parking was also free. The property is located in a lovely rural setting which is approximately a 10 minute drive to Fort William. Liz and Kenny are very warm and friendly and everything was excellent at highwinds. A tasty breakfast with eggs, Salmon, sausage, Fresh fruit and homemade Smoothie and marmalade. The Rooms are spacious and very clean, a big bathroom with a great working shower. We can give a 100% recommend for highwinds. Highwinds is located About 3 km outside Ft. William and therefore it is very quiet. Shops, Restaurants, Petrol stations, supermarkets are all in Ft. Williams, so no Problem to find this. There are much Things to do and see in this area, we were there for 4 nights. First class accommodation. 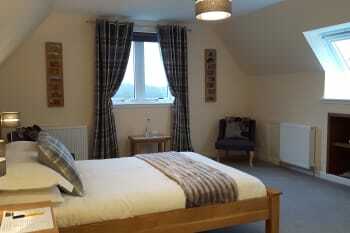 Bedroom and ensuite were a good size with views of Ben Nevis and surrounding countryside. Top quality furnishings and so much choice for breakfast - wished we could have stayed longer. Thank you so much! Maybe you can stay longer on your next visit! Nous vous remercions pour votre accueil chaleureux. Tout était parfait. Les chambres sont spacieuses, le petit-déjeuner est au top. Si nous revenons dans la région, nous ne manquerons pas de revenir chez vous. Nous n'hésiterons pas à vous recommander. Best regards. Balade au Mont Ben Navis via le télécabine. Superbe vue !!! Le restaurant "Tavern" est à faire. We enjoyed a relaxing few days at Highwinds. 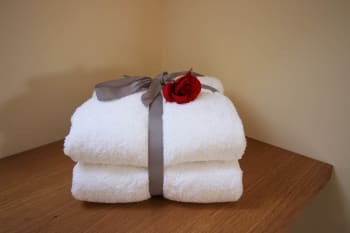 The standard of cleanliness throughout the property was exceptional with lots of lovely little touches like the rose tied towels, access to maps/walks, fresh milk for the bedroom on request. Kenny and Liz were kind and considerate hosts and Liz offered to prepare a packed lunch for our walk up Ben Nevis. Nothing was too much trouble. Breakfast was lovely with a great choice and plenty of everything. The location of Highwinds, just outside Fort William and with an outstanding view of Ben Nevis, provided a comfortable and peaceful haven. We cannot rate this B&B and its friendly hosts highly enough. We walked Ben Nevis and it was an amazing experience helped by the good weather and clear views. Highly recommend the Ben Nevis Inn for a meal - but booking is required. A variety of restaurants and eating places in Fort William. A boat trip around the loch (Crannog boat tour) with a fantastic commentary was informative,peaceful and enjoyable. The gondola experience at Glen Nevis with short walks at the top and a nice café was great. Sehr nette Gastgeber, geschmackvoll eingerichtet, sehr schönes, modernes Bad mit großer, ebenerdiger Dusche (Zimmer Nr. 1) und gutes Frühstück. Liegt außerhalb von Fort Williams, ca. 7 Min. mit dem Auto vom zentralen Parkplatz entfernt. Ruhige Seitenstraße gegenüber von Weiden. Traumhafter Blick auf Ben Nevis. Außensitzplatz vorhanden, aber keine Lounge und kein Kühlschrank. Keine Restaurants in direkter Nachbarschaft. Großer Parkplatz auf dem Privatgrundstück. We received a very warm welcome from our hosts Liz and Kenny. Our room had a fabulous view of Ben Nevis. The location of Highwinds is great for all your touring and hiking needs. The facilities of the B&B are excellent which made our stay very comfortable. Visit the Glenfinnan Viaduct to see the Jacobite Express Steamtrain (Hogworts Express). If you love steak go to The Stables Restaurant in Fort William. Highwinds is an excellent B&B and is one of the very best we have stayed in. Liz, Kenny and the family all made us feel really welcome. The rooms are immaculate and spotlessly clean. The breakfasts too are excellent. Definitely highly recommended. Be aware that Torlundy is about 4 miles from Fort William but is easily accessed by taxi if required. Would recommend Blas, Crannog Seafood restaurant and Garrison West as places to eat. Beautiful property in a beautiful location. Execptionally clean and well maintained. Great choice at breakfast and nothing was too much trouble for the owners who are very welcoming. We would definitely return. Thank you very much! Hopefully we will see you again soon. We stayed for a couple of nights here and found it to be of exceptionally high standard rooms, excellent hosts, excellent breakfast, porridge to die for. We could not find one fault with our stay and would definitely recommend this is the place to stay. There is a hotel and bistro not far from the place called Alexandra’s which do very good food and reasonably priced. The Glenfinnan monument is not far away about twenty minutes drive. Our first travel to scotland. And the third station was Highwind Bed and Breakfast and it was really awesome!!! If we drive near Fort William next time, the first stop you can believe me is this Bed and Breakfast! The best in our holiday across scotland! See it, taste it, enjoy it!!! Thank you so much for your wonderful review! We are so glad you enjoyed your stay. Book well in advance for the Jacobite train from Fort William to Mallaig! We missed out! Hi, I'm sorry that you missed your regular programmes whilst holidaying with us. As it happens we do have BBC News Live on channel 231, BBC Parliament on 232, and Sky News 24 on channel 233. Unfortunately as it was during breakfast that you requested I find these channels for you I just did not have the time to look properly. I'm glad you enjoyed your stay and thank you for taking the time to write your review. Extremely well organised, friendly , welcoming and very passionate about making sure guests stay is as good as it can be. Host of things to do in the area for all ages and abilities with the most wonderful scenery round every corner. Warmest of welcomes. Room was faultless and extremely comfortable. Great views. 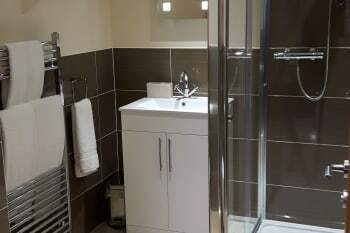 En suite of the highest standard with great shower. Loved locally produced toiletries. Friendly and helpful. Proper porridge. Generous selection for breakfast, all excellent. Loved our stay and will definitely return and recommend. Although Highwinds is a few miles outside Fort William and we had travelled by train, A&A Taxi Services which Liz recommended were totally reliable. We prebooked for the station to catch the Jacobite train and the Glasgow train. Thank you so much! We look forward to seeing you both on your next visit. Liz & Kenny are tremendously friendly & kind hosts. We really enjoyed our stay in their lovely home. The location couldn’t have been better - beautiful scenery, quiet location, yet close enough to town. Thank you for your hospitality. We highly recommend a stay at Highwinds! A well managed and comfortable, family-run B&B. A pleasant rural setting but close to town. The rooms are spacious and immaculate. Ample parking. Liz and Kenny were very welcoming and helpful throughout our stay. Liz did all she could to provide us with extra care and nothing was too much trouble. Huge choice to eat at breakfast and it was all beautifully presented. Nice to stay in a friendly, family run B&B. Our room was spacious, light and comfortable and spotlessly clean. The house is in a fantastic peaceful situation with stunning views of the mountains and fields too. Fort William is only a short ride away so everything is within easy reach. The area is packed full of activities and places of interest for all age groups. Facilities are modern and close by or central in Fort William. Families especially would enjoy this area. Lots of places to eat out, and local supermarkets provide everything you could need to pack up for a days touring, walking or climbing. You could just appreciate the wonderful scenery if energy levels are low !! Thank you for an amazing stay, perfect location with lovely views of Ben Nevis. Fabulous hosts very knowledgeable on places of interest. Utilise the walking books on offer provided by the hosts to maximise your stay. We went to Stables restaurant which came highly recommended and did not disappoint. Fantastically cosy room, great breakfast and lovely hosts. A gem of a find- warm and welcoming hosts, spotless and tastefully done up room, serene location and a hearty breakfast! 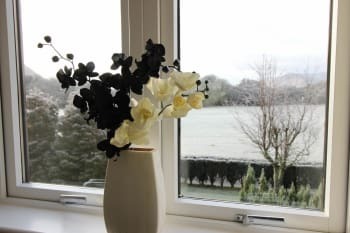 We booked this property over the Easter weekend for a night’s stay before traveling onward to Isle of Skye - I don’t write reviews very often but couldn’t help myself given how wonderful the experience was. Strongly recommend! Thank you Liz and Kenny for such a lovely stay. We look forward to staying with you again! Thank you so much for taking the time to write such a lovely review for us! We look forward to welcoming you to Highwinds again in the future. Ben Nevis range with Gondalas,Steam train from fort William to mallaig lots of eating places. This was by far our best B&B while we were travelling Scotland. Our hosts are very nice and helpful people, everything was more than perfect. We also enjoyed two lovely dinners at the Ben Nevis Inn (once with Scottish live music)- recommended and booked by our hosts. Great hosts! A very relaxing b&b, clean room, good homemade breakfast en within 5 minutes of Fort William. Everything you need/want in a b&b is there. We would definitely come back here. The route to/from Inverness is stunning and take the normal train instead of the Jacobite train for a more relaxing and less crowded journey to Mallaig and back. Wonderful B&B. Great service, very clean. Recently renovated with modern bathrooms (great shower with excellent pressure and plenty of hot water). Delicious breakfast. Great location, close to the Nevis range, Fort William city, Golf course. Wonderful hillwalking right outside the door. Plenty of free parking. Good wifi connection. 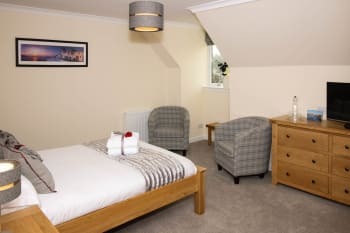 Lovely location, great views from every window and just a short drive from Fort William and many major walking routes. The B and B was spotlessly clean, the breakfast was brilliant and Liz and Kenny couldn't have been more friendly and helpful. We would not hesitate to highly recommend it. Dear Liz and Kenny, thank you for the wonderful stay in your house. We have enjoyed every day and will keep Scotland in the best memory. Hope to see you soon! The surrounding is amazing. You should see Skye, Eilean Donan Castle and especially Glen Coe! Aw, thank you so much! Look forward to seeing you again. Couldn't have chosen better. 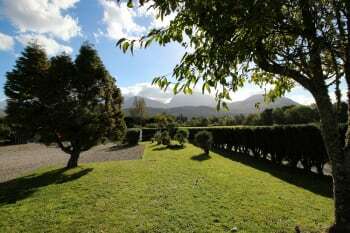 Beautiful location with great views of Ben Nevis. Oodles of parking. The owners have definitely created a perfect spot to stay; extremely friendly, comfortable and well equipped accommodation - best two nights of our 20 night stay touring around Scotland (much better than 'chain hotels'). Close to mountains ' Mountain Gondola on mountain of Aonach Mor (same range as Ben Nevis) - well worth a trip with splendid views. Nearby is the railway to Mallaig which incorporates the Glenfinnon viaduct (famed from the Harry Potter films. Such a beautiful, modern & clean B&B with great hosts and a delicious breakfast. Not in the center of Fort William, but nice scenery view at the breakfast table. Spacious room and bathroom. 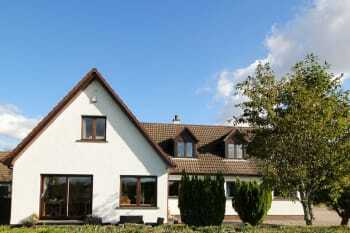 Located in a lovely, quiet area but close to Fort William. Great breakfast. A warm welcome on arrival lovely room stunning views especially of Ben Nevis, quiet location just off the main road, tea coffee facilities, walk in shower breakfast was fantastic the croissant were delicious , smoothie also and husband enjoyed his cooked breakfast in a pleasant room with French doors looking out onto fields overall a fantastic place. Beautiful spot! Such a picturesque area and lovely owners. Would definitely return there if we ever get back to this side of the planet. Steam train crossing the bridge out of town. Stunning mountain scenery all around. My wife and I came to the Highlands as part of our Silver Wedding Anniversary celebrations. We could not have chosen better for our B & B. Liz Kenny are fabulous hosts -friendly, warm, charming, attentive and really helpful. They made us feel totally at home and ensured that our stay could not have been bettered. We would recommend Highwinds to anyone! Try the Crannog Seafood Restaurant at Fort William for excellent and fresh seafood in a quirky, warm and lively atmosphere with excellent service. For a bracing but not too strenuous walk in the gorgeous countryside try the Nevis Range and North Face walk - you can then go up the Gondola some way up Aonach Mor if you fancy it. Basically you are in the most beautiful part of the world surrounded by highlights such as Glencoe and Loch Linnhe. Another nice short walk nearby takes you up to the Neptune Steps - a series of lock gates close together on a steep canal climb/descent. Also try the Jacobite steam train from Fort William to Mallaig.The West Highlands Museum in Fort William is well worth a visit too. Superb views in a quiet location. Immaculate and tastefully decorated bedroom and ensuite bathroom. Great choice of delicious breakfasts made to order and served by delightful hosts. Would highly recommend staying at Highwinds to anyone. If possible, book the steam train from Fort William to Mallaig. Try the cable car at the Nevis Range - the views are stunning. Delicious breakfast. Had a great stay!!! Near Ben Nevis and Glenfinnan. Everything about our stay was perfect from the moment we arrived and although we were at High Winds for only two nights were sad to leave. We will definitely be returning to this fabulous B&B. Walking up Ben Nevis which starts from a couple of miles away and walks direct from the property. Nice restaurant called The Old Station at Stean Bridge and beaches at Arisaig. Highwinds B & B was totally new and very well designed and maintained. The owners were friendly and helpful, going so far as to recommend restaurants and call and make reservations for us. They advised me on how to find the Great Glen Way hiking path while my husband climbed Ben Nevis. Breakfasts were top notch, and Liz will even pack a lunch if you need it. Restaurants at the base of Ben Nevis were both excellent. Local train ride to Maillaig was much cheaper than the steam train which takes the same route, but the scenery is the same, and tickets were still available on the local train. Comme à la maison avec le plaisir de ne rien faire ! Nous avons été accueillis comme des amis et accompagnés comme des invités. Les chambres sont très belles, le petit déjeuner extra, avec des fruits frais ! Un environnement calme et magnifique, non loin de Fort William. Merci à vous trois ! Wonderfully toughtful B&B with a lovely host, perfectly beautiful new rooms. Absolutly pleasant stay. Highwinds beurteilen wir als die beste Unterkunft während unserer Schottland Rundreise. Sehr hübsche, neue Zimmer. Das Frühstück war überragend. Den Gastgebern liegt das Wohl ihrer Gäste sehr am Herzen. Besser als im Hotel. We really enjoyed our stay at your place! We had a friendly and warm welcome. We loved walking with Olly and the environment we saw during the walk was beautiful. Room was really comforable, both bed as shower. Besides, we are thankfull that you gave us a ride to fort william, we really appreciated it. Thank you! I must add, I don't normally give people lifts but I was headed the same way as you at the same time so it was the natural thing to do. Warm welcome, helpful and friendly hosts. Very nice of them to help make reservations for restaurants and help with the bags. Very friendly dog. Spacious room and bathroom, all very clean. It al feels modern but homey, very nice. Delicious breakfast with different options. Nice view on the mountains from the bedroom windows. Ben Nevis Inn was very nice. Steall gorge and fall was a nice walk, but be careful when it's wet. Amazing, Liz and Kenny make you feel right at home and the location is incredible. very friendly and welcoming The room was spotless and breakfast excellent would highly recommend this bed and breakfast. Very lovely room, everything renovated recently. Breakfasts are varied and large enough, and, last ut not least, Liz and Kenny are very kind and very welcoming. Without any hésitation, a good adress to recommend. Great Location, Elizabeth extremely helpful with reservations and a terrific host. Well maintained rooms and a view of Ben Nevis. A truly lovel B&B just outside Fort William. Stunning views surrounding the property. Welcoming and helpful hosts who keep the B&B to a very high standard, I didn't want to leave! Great stay and plan to come back in the future. If you don't have a car, a taxi journey is £10 to Fort William main shopping street. Ben Nevis walking path is about 10 minute drive away. Thank you for your review and your kind comments! We enjoyed our stay very much and had a great time. Room is nicely decorated, bathroom very very clean and modern. Breakfast delicious and we were lucky to be able to watch deer while having our breakfast. The owners made us feel like at home. Should we ever be in the area again we will definetely stay there again!!!! Thank you for your review. There are not many locations that you could watch deer whilst eating breakfast! Perfect stay! Great quiet location, fantastic service and wonderful fresh breakfast. Garisson west had good seafood for good prices. Ben Nevis in is also very good. We did a hike that not many tourists take si think: Cow Hill Circuit. Beatifull 3-4 hour hike with a great scenery. Great place with a view of Ben Nevis. Very friendly hosts, comfortable rooms and tasty breakfasts. Perfect ! Thank you for your review. I'm hopeful you answered no in error when recommending us to others since you rated us excellent! Thank you so much! We look forward to seeing you for longer next time! The owners, Liz and Kenny were absolutely amazing! We couldn't have asked for more helpful , friendly hosts. The breakfast was the highlight of our day and we had so many choices , Liz even makes her own jam . Although we don't have any dietary restrictions Liz, does ,and so she would be a wonderful asset for individuals who do , either at their B&B or with help in choosing to dine locally. I had my best English-Brakfast in this Apartment. Very, very clean rooms. Very modern and comfortable interior. 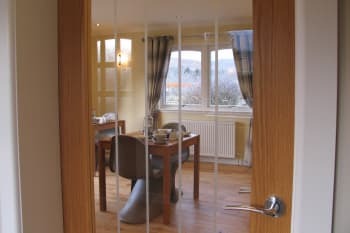 Great location with views of Ben Nevis, excellent breakfast and room was best we stayed in on the whole trip. Liz & Kenny are excellent hosts. We would definitely stay again. We received a great welcome on arrival and were made to feel at home. The house is wonderful with spacious and very comfortable rooms. The rural location is quiet and peaceful with plenty of car parking space available. Would love to stay longer. Thank you! Hopefully you can stay longer next time! Very welcoming, helpful in any way, i.e. restaurant reservation, hiking tips... Only 1 suggestion : empty the waste baskets in the room on a daily basis. Thank you for your review. This was an oversight and it will not happen again. No hesitation to recommend to anyone. Lovely room, views and a fab breakfast. The Wohle stay was Perfect! Mountain Trip to " ben nevis "
It was wonderful to be able to enjoy the hospitality of Liz and Ken. We felt very much at home and very welcome. Thanks a lot! We came to hike on the big mountain, Ben Nevis, and got excellent advise from out hosts. If you come to these parts don´t miss the mountain! Wir haben 3 Tage in diesem sehr gepflegten B&B verbracht und waren sehr zufrieden. Freundlicher Empfang, gutes Frühstück, ruhige Lage und gute Tips zur Gestaltung des Aufenthaltes. Wanderkarten etc. wurden zur Verfügung gestellt. Sehr empfehlenswert !! We had such a wonderful time staying at the Highwinds Bed and Breakfast - the rooms were really lovely, the hosts were very welcoming and gave us lots of helpful tips of things to do and see, and the breakfasts were absolutely delicious! Highly recommended! Fort William is a great place to stay - lots to see and do. Lovely hosts. Very helpful finding dinner and a route back to Edinburgh. Highwinds is an excellent B&B run by wonderful people, Liz and Kenny. Rooms are spacious, modern, comfortable and immaculate. Breakfast is prepared fresh, highly customizable and great both in quality and quantity. Porridge, fresh fruit, smoothie, smoked salmon, traditional Scottish breakfast items ... Most importantly Liz and Kenny are very friendly, kind and accommodating hosts who go above and beyond to make your stay a wonderful experience. My only regret is not having booked a longer stay. Aww thank you, we will hopefully see you for longer next time! Liz and Kenny were very friendly, helpful and knowledgeable about the local area. Glen Nevis and the Steall waterfall are very atmospheric if the cloud is low. sehr freundliche junge Familie; leckeres und reichhaltiges Frühstück mit toller Auswahl; Zimmer sind neu hergerichtet worden, geräumiges helles Bad; Alles einfach zum Wohlfühlen. So wünscht man sich immer B&B. Wir werden bestimmt wieder kommen, hier fühlen wir uns willkommen. Thank you very much, we look forward to seeing you on your next trip! The accommodation is one of the best we have ever stayed in. Superb location, superb quality of the room furnishings, superb breakfasts and superb hosts. Liz and Kenny have all local info on Walks, activities, restaurants etc.. Recommended The Tavern in FW and food/service spot on. Highwinds is less than mile drive from Ben Nevis North Face Car Park. Glen Nevis Restaurant was in such a scenic position with good food where tried Scottish food. Gondola to Ben Nevis was excellent Steam train to Mallaig Seafood restaurant on the loch. Wonderful place, great scenery, very clean rooms and a nice breakfast. We were late with our booking but were glad there was a room available. When we arrived we were pleasantly welcomed. The owners were very nice and kind. The facilities are brand new and very clean and up to current standarts. Breakfast was more than amazing. We could definitely recommend this B&B to anyone who wants to stay in the area. In 1 word: WOW. Liz and Kenny were the best hosts we have ever stayed with. They were incredibly welcoming, accommodating and kind. They provided us with some great local knowledge, dropped us off in the town centre and even let us check out a little later. They went above and beyond any other host we have stayed with. The rooms were modern and immaculate. They were decorated to a very high standard, making the stay very comfortable. I would strongly recommend high winds to anyone staying in Fort William. Steall falls in Glen Nevis is a very scenic short walk. The Tavern does great food and cocktails in Fort William Main Street. Thank you for your great review, we look forward to seeing you again. Spice Tandoori restaurant is actually very nice, the decor is questionable but the food is really good. Things to do- Ben Nevis if you can handle it. Steal waterfall is a lovely hike and it only takes about an hour to get to the waterfall, then you can brave the rope bridge. For an easy walk Glenfinnan Viaduct and Monument. And of course Glencoe, I can never get tired of the beauty of Scottish Highlands. Thank you very much for your review, we look forward to seeing you again next time! Liz.